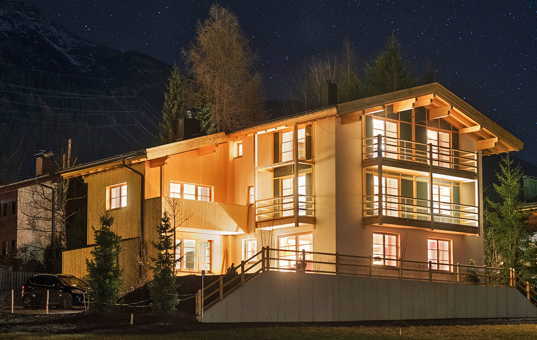 This comfortable apartment sleeping up to 11 persons is one of four luxury apartments at the chalet that was completed in 2010. 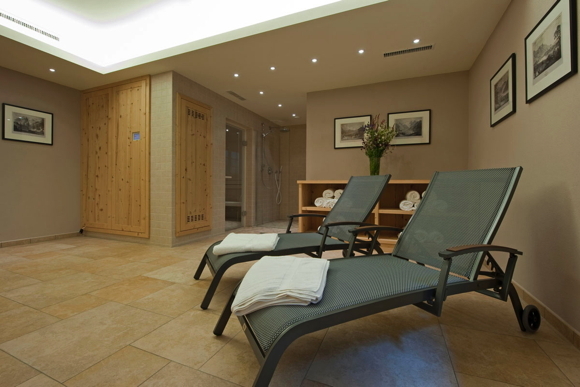 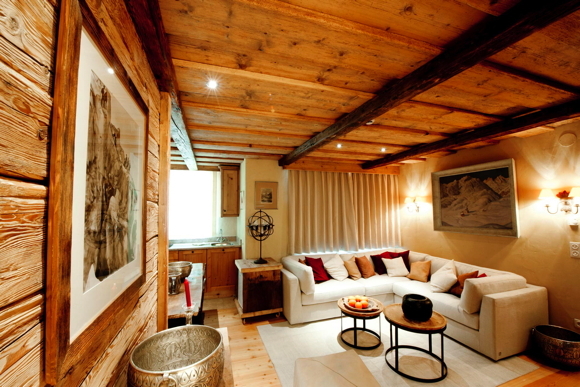 The house is situated just a short walk from the Nasserein lift station in St. Anton am Arlberg. 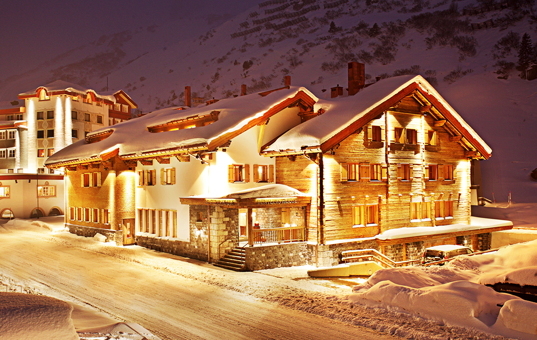 Therefore it is ideal for ski holidays with family and friends. 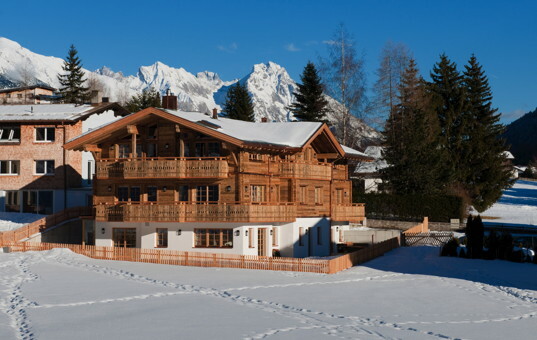 The guests of the apartment have access to a shared spa area of the chalet on the lower floor comprising a hammam, shower and loungers. 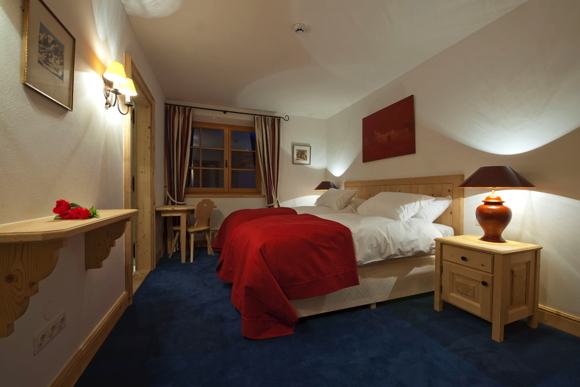 The chalet is equipped with a ski room and a small laundry room with washer and tumble dryer, both for shared use. 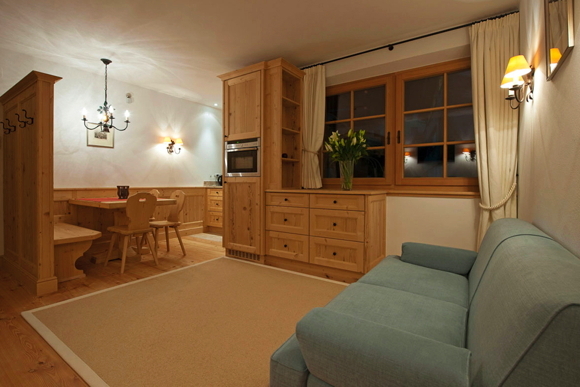 One can access Apartment Arlberg 2 via the lift or the stairs. 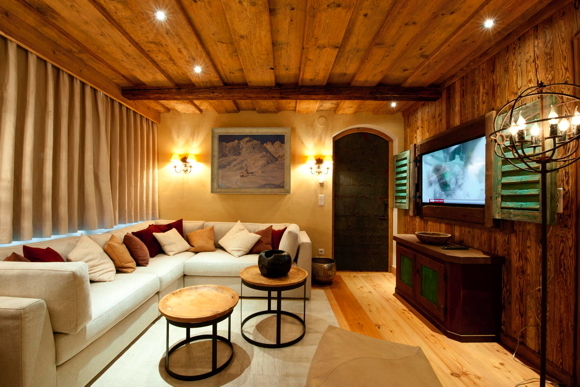 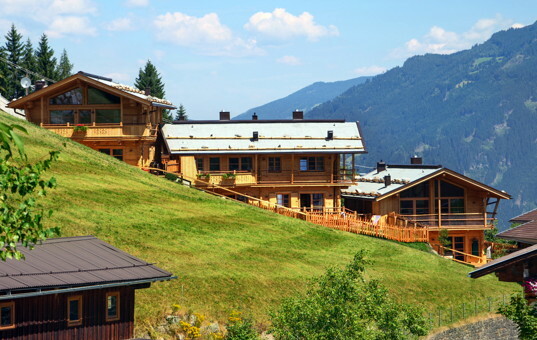 This chalet style apartment scores with tasteful interior design, extensive use of woods and stone elements, high quality equipment and a large, sunny, south west-facing balcony with breath-taking views over the mountains. 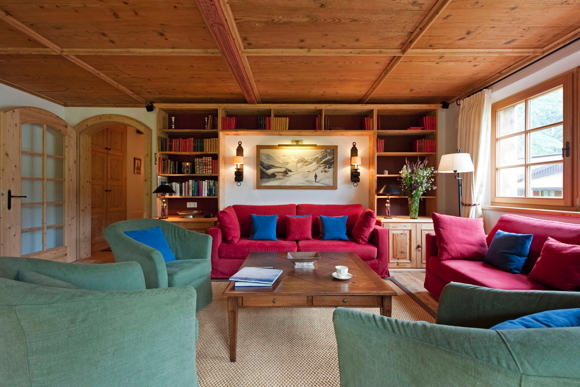 The meeting point of the apartment is the big open plan living room with a fully equipped kitchen, a comfortable dining area for 12 adorned with an authentic Renaissance painted ceiling. 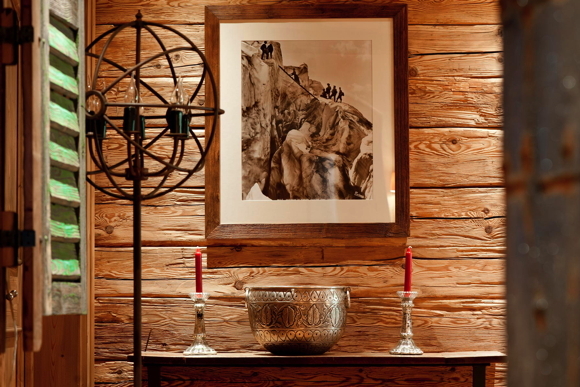 The original Tyrolean tiled stove, wooden furniture, floors and ceilings create an authentic atmosphere of a traditional Tyrolean ”Stube”. 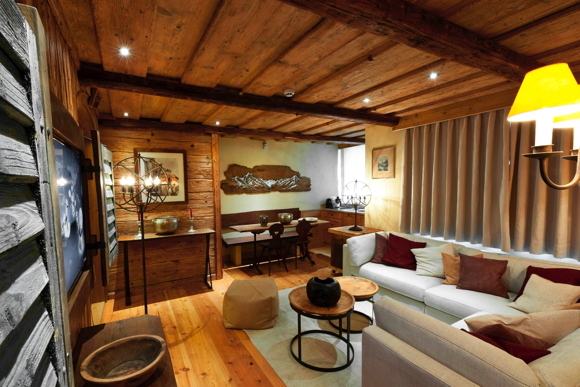 This apartment can be rented on catered or a self-catered basis. 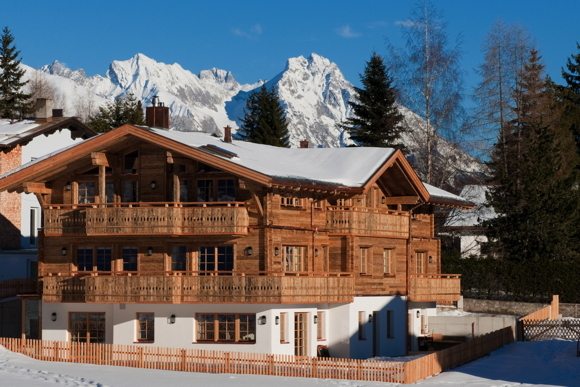 The catered option includes champagne reception, breakfast, afternoon tea, dinner, ski instructor on two days, shared driver service within St. Anton. 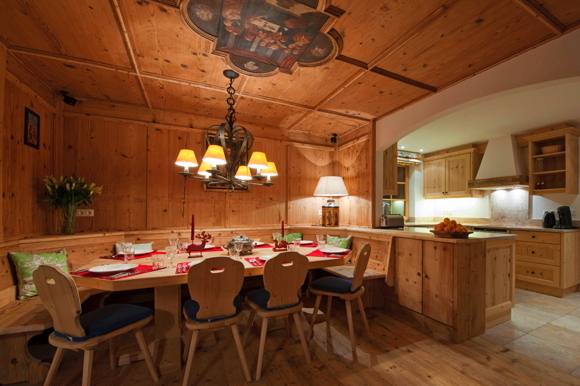 When catered, the food is prepared by the chef in a separate kitchen on the lower floor of the chalet and then served in the apartment. 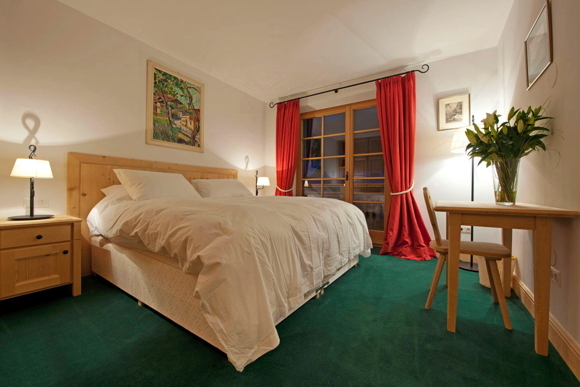 The minimum rental period is one week/7 nights. 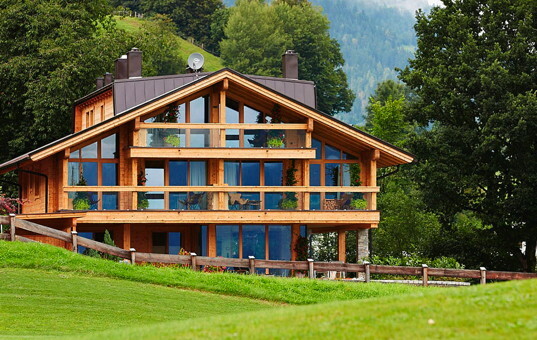 This property is offered by Brambleski-Dentdelion Sarl., for whom we act as agent. 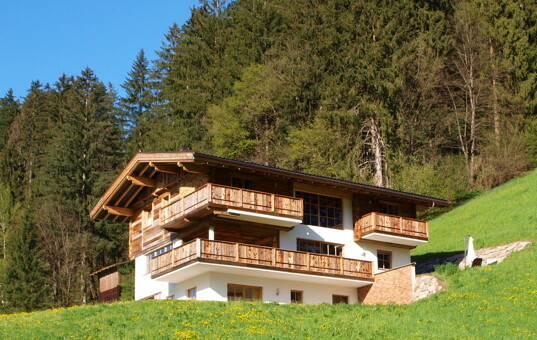 The rental contract is based on the terms and conditions of Brambleski-Dentdelion Sarl. 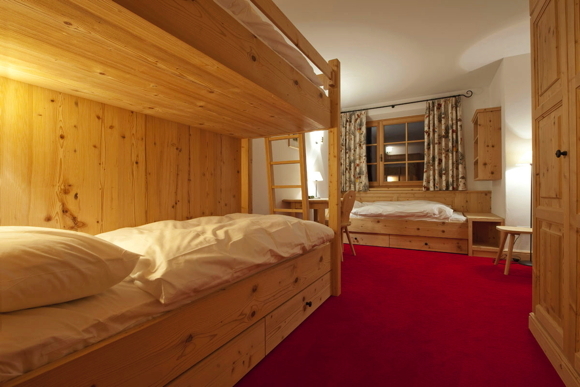 3.500 € payable to Domizile Reisen. 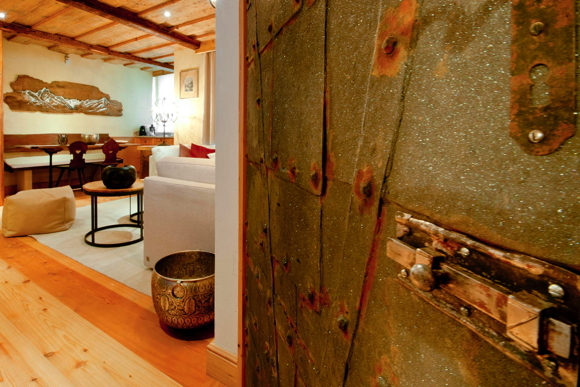 The damage deposit is not a subject of the booking contract. 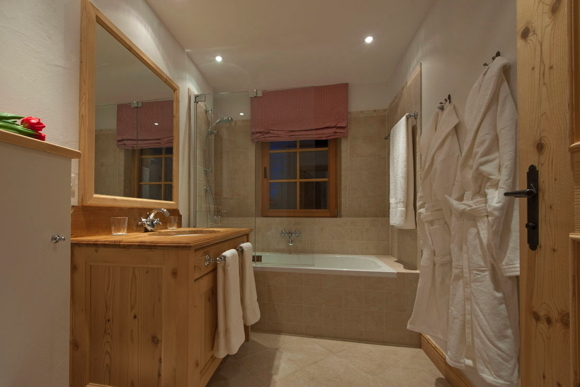 6 x per week cleaning service, 1 x per week change of towels (on Wednesday), bathrobes and slippers. 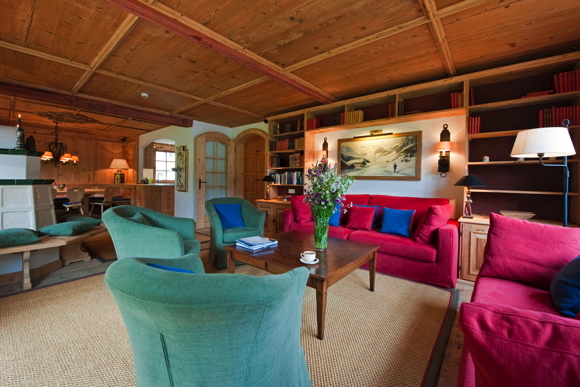 Noble romantic Chalet near the ski slopes with fireplace and sauna near Aschau in the Zillertal.